Posted in: Daily Posts. Tagged: AIRPLANE PHOTOGRAPHY, Dubuque Regional Airport, Ground Squirrels, Kansas City Municipal Airport, Photography, TWA Columbine. I have a mixed bag for you today. I will finish up my photo shoot at the airport of a couple of weeks ago. 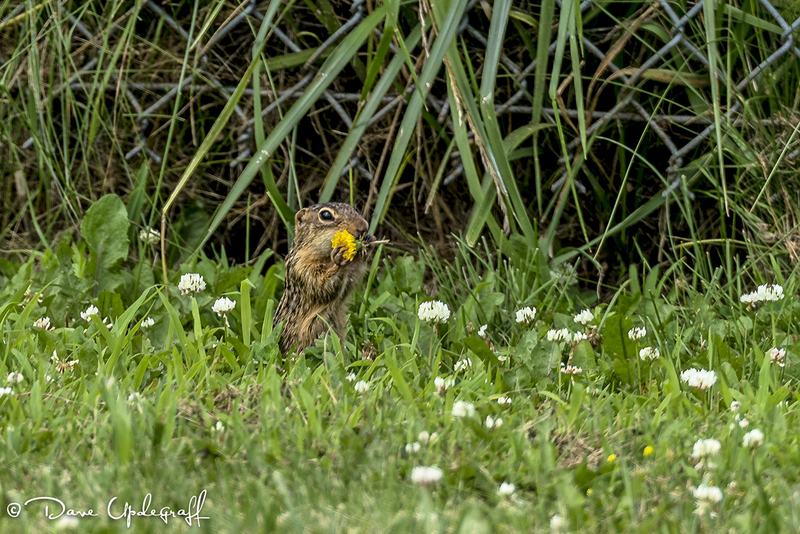 Between flights of the War-birds there really wasn’t much else to do, then I noticed this little ground squirrel scurrying about. Since I already had my long lens on the camera why not capture him as well. I thought this made an interesting contrast showing the old and the new. There were two corporate jets that landed at the airport while I was there. 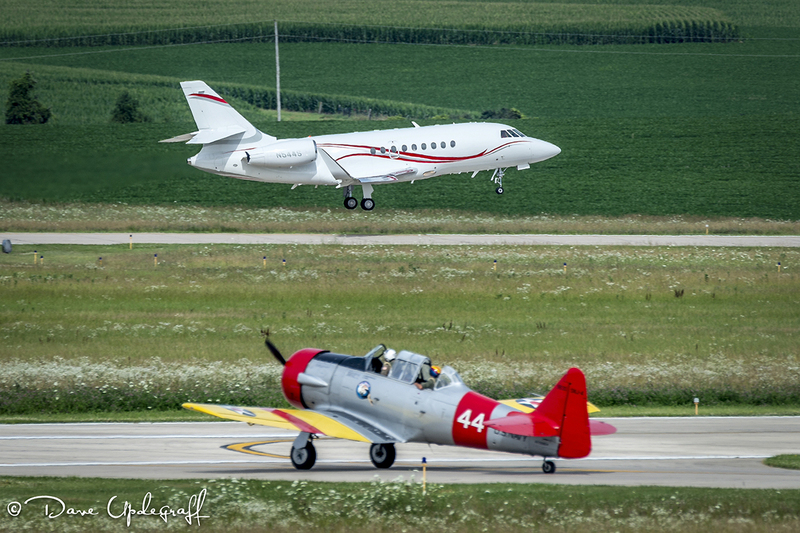 Dubuque Regional has a pretty robust amount of traffic even without the war-birds. 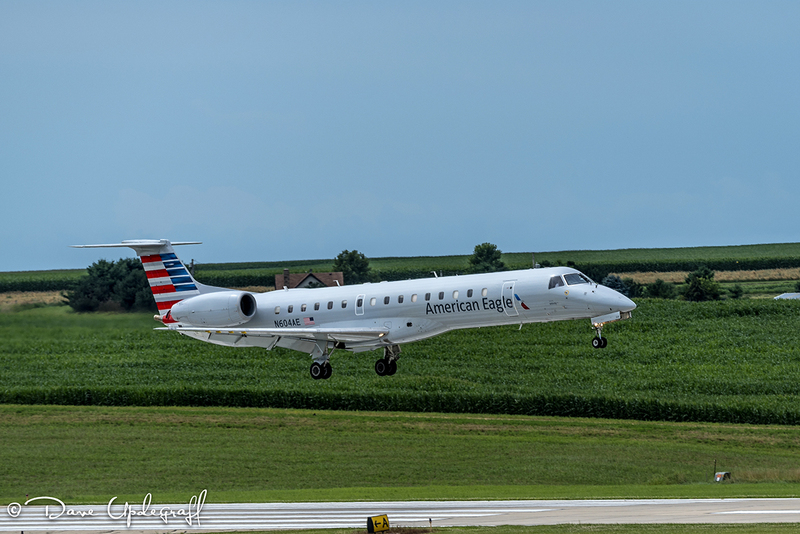 American Eagle (Envoy) has regular flights in and out of Dubuque. They fly nonstop to Chicago on a daily basis. I have always had a fascination with airplanes. When I was a kid my Dad would drive all the way to Kansas City (100 miles) on Sunday just so I could watch the big commercial airplanes land and take off. There was even an observation deck on top of the old municipal airport terminal where you could stand and watch the (rich) people get on the big TWA Columbine 4 engine airplanes with their distinctive arched fuselage and three vertical tail fins. I would imagine what mystical and exotic places they were traveling to. Ridgeway, Bethany, and Kansas City were pretty much the size of my known world. When those big engines started up they belched a lot of smoke and the rumble of those big engines would vibrate through your entire body. It was amazing. Other times we would go to the end of the field (which ever way the wind was blowing) and watch them come in for a landing. In those days KC Municipal airport was very accessible to the public who enjoyed watching the comings and goings of the airplanes. It was always crowded in the observation area. When the wind was in the right direction the big planes had to come in over the city and some pretty tall buildings. Then they had to drop immediately down to make the landing. KC Municipal had a pretty short runway in those days even for the prop driven aircraft. I’m sure it was a struggle financially for my Dad to take me to KC and then sometimes we’d stop at a truck stop on the way home for dinner or most of the time Mom would have made fried chicken for us to eat while at the airport. When I think about it now it is amazing. My Dad worked very hard (physically) 6 days a week and then would give up his Sunday’s to drive all the way to Kansan City and back just so his little boy could see airplanes. It’s always great fun to go out and watch the planes land and take off. 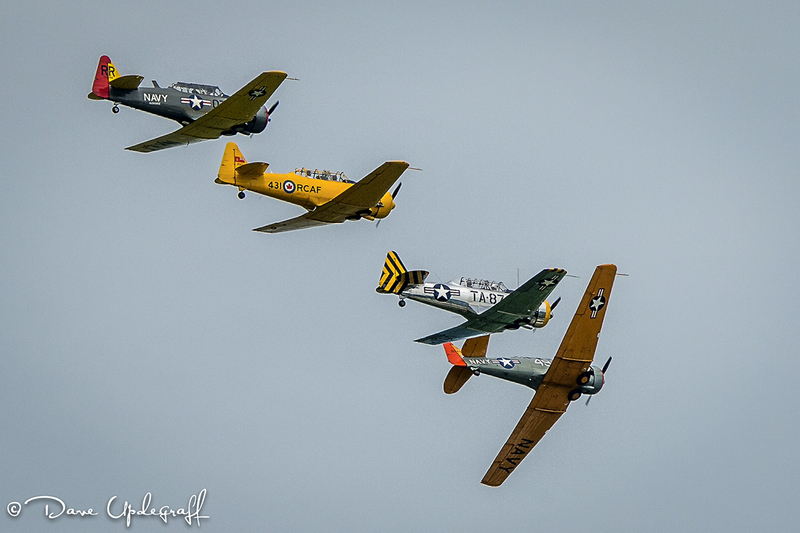 In years past they would fly over the observation deck (in Dubuque) and turn on their smoke for some great fly by photo opportunities. Thanks for stopping by the blog. Enjoy your day and be careful. It’s going to be a muggy day.